This year has been one of growth and strength at Revolution, which is notable during these ambiguous times in the venture capital industry. Revolution’s portfolio companies raised over $475 million, were recognized on numerous occasions by the media, venture capital and business communities and their peers, and many hit major milestones that demonstrate their incredible progress and success. We welcomed new team members, and new portfolio companies including Bedrock Manufacturing, SpareFoot, Sportradar, and Cava Grill. We also had our first Revolution Ventures exit when Groupon acquired Baltimore-based OrderUp, and we reaffirmed our commitment to growing companies in our existing portfolio with several follow-on investments. From Entrepreneur of the Year to TIME Magazine’s Best Inventions of 2015, our companies received major accolades for being innovative, disruptors, entrepreneurial, and the best workplaces for women – and our people too, many landed on 30 under 30 and 40 under 40 lists and were named Tech Titans. Revolution was excited to launch a new website as a source of news, information, and thought leadership from our team. We enjoy sharing what’s on our minds as it relates to what we see, hear, and experience from our visits with inspiring entrepreneurs and companies around the country. 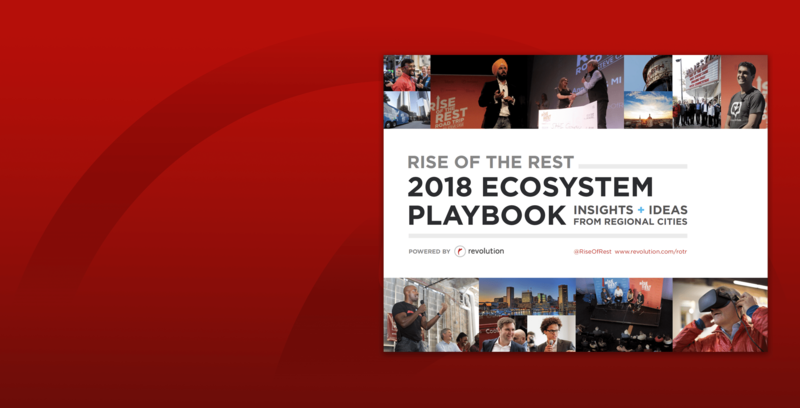 Over the last year, we also continued to execute on our Rise of the Rest thesis – investing in companies located outside of a few coastal cities and instead in places like Baltimore, Detroit, and Buffalo. In 2015, we conducted two more Rise of the Rest bus tours through 10 new cities. Since launching the tour in 2014, we have traveled 4,000 miles and invested $2 million in 19 startups. Earlier this year, the Rise of the Rest initiative and Steve Case were recognized by President Barack Obama for these efforts. Our CEO and Chairman Steve Case announced that he’s publishing his first book, The Third Wave, coming April 2016. The title pays tribute to futurist Alvin Toffler’s The Third Wave and will be part memoir, part manifesto, and part playbook for the future. We are excited to share it with you. Once again, thank you for making 2015 one of the best and brightest years yet at Revolution. We are excited for what 2016 and beyond will bring!